Elnu Abenaki Chief Roger Longtoe Sheehan and I have an appearance in this newly released documentary from the Connecticut River Conservancy. At 8:40 into the video, we share some indigenous perspectives on the essential role the Kwenitekw plays in the landscape of life here. From Rev. Ezra Stiles’ travel diary, circa 1764, recounting a visit to the confluence of the Wantastekw/West River and Kwenitekw/Connecticut River. He traveled widely and recorded faithfully. This excerpt is from a trip up from his home base in Connecticut state, to scout what became the chartered town of Wilmington, VT. Note his references to particulars: There is no underbrush. White Ash trees 100 feet to the limbs and 4-5 feet in diameter at the base. How did this happen? Indigenous people practiced a sophisticated permaculture. 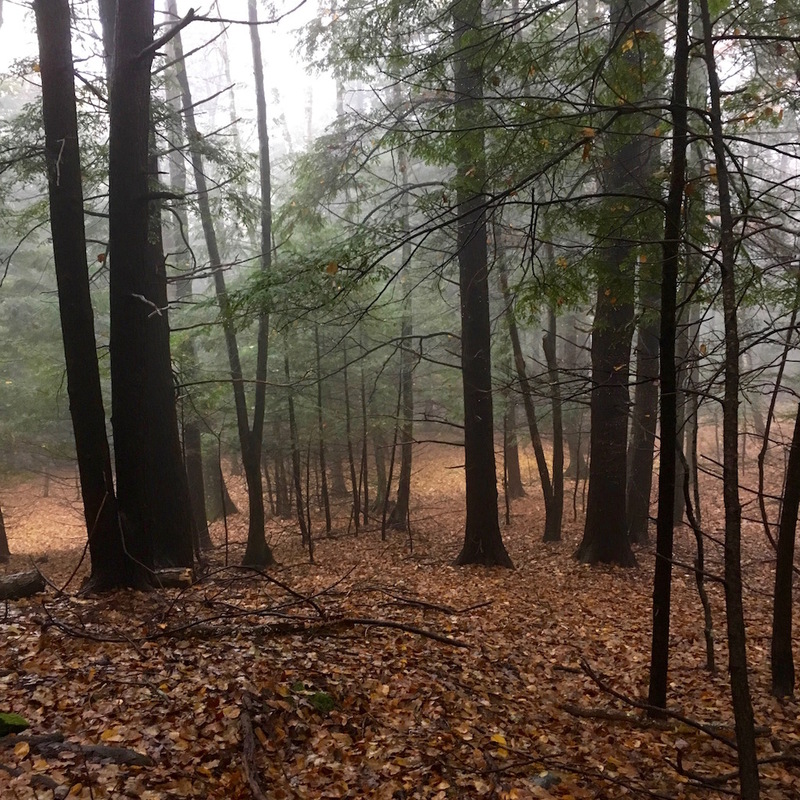 A nuanced, sustainable forest management regimen – working with water, fire, topography, seasonal changes, succession. This was and is not happenstance, circumstantial, or the divine gift of god. This is demonstrable evidence of reciprocal relationship in motion, the give and take of constant creation. Note: Mark Bushnell is a Vermont journalist and historian. He is the author of “Hidden History of Vermont” and “It Happened in Vermont.” Mark called me for comments as he was putting this VTDigger column together. When Rev. David McClure of Dartmouth College ventured down the Connecticut River to Bellows Falls in 1789, he was on a scientific mission. As a natural philosopher – what we might today call a scientist – McClure was interested in stone carvings he had heard about from a local man. The carvings, cut into an outcropping on the Vermont side of the river, depicted a series of faces. “The figures have the appearance of great antiquity,” McClure wrote, noting that the British colonists who first settled the area a half-century earlier had observed them. The faces were life-sized images consisting of a simple oval with markings for eyes, nose, mouth and perhaps ears, McClure wrote. Some had lines sticking out of their heads that various observers have taken to be feathers, horns or rays. 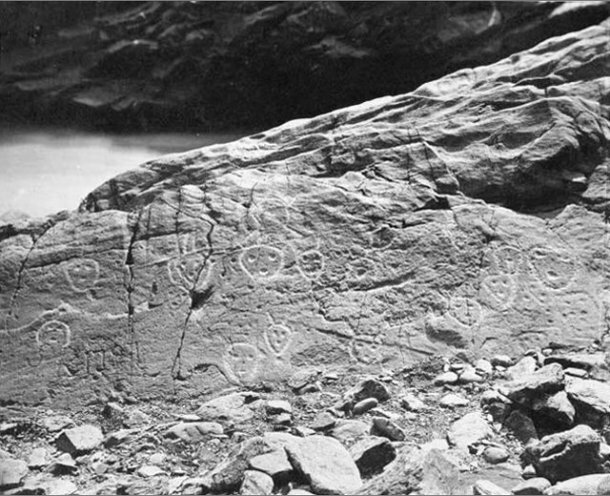 McClure’s was apparently the first written account of the carved rocks, which have been described as the oldest pieces of art in Vermont. How old? Though experts agree the carvings were made by Native Americans, they are unwilling to ascribe a specific date, or even era, to the petroglyphs, which literally means “stone carvings.” They could be anywhere from 300 to 3,000 years old. The written observations of McClure and subsequent visitors during the 19th and early 20th centuries are invaluable because they offer a snapshot of these artifacts, which have been changing over time. If descriptions of the petroglyphs have varied since McClure’s visit, so too have the interpretations of their meaning. Read the full article in VTDigger here. A well-crafted video project put together by two Brattleboro Union High School (BUHS) students – Forest Zabriskie and Mason Redfield – for a recent class assignment. To gather varied perspectives on the utilization of the Connecticut River – specifically the circa 1909 Vernon dam at the Great Bend in Sokwakik – they interviewed Matthew Cole, Community Relations for Great River Hydro (dam owner and operator); Kathy Urffer, River Steward for the Connecticut River Conservancy; and yours truly, for an Abenaki cultural viewpoint. Edward Augustus Kendall was a British traveller, translator, social campaigner and writer. He is best known to Americans as the author of a journal with the self-explanatory title of “Travels through the northern parts of the United States in 1807 and 1808, in 3 volumes” (New York, I. Riley, 1809). His name will come up elsewhere on this blog as a chronicler of the petroglyphs at “Indian Rock,” as he knew the carvings at the mouth of Wantastekw/West River, at Wantastegok/Brattleboro. 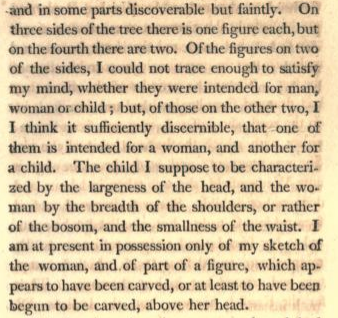 That account is also found in the aforementioned travel journal; fyi, the references to Vermont instances of Native carving are all recounted in Volume 3. 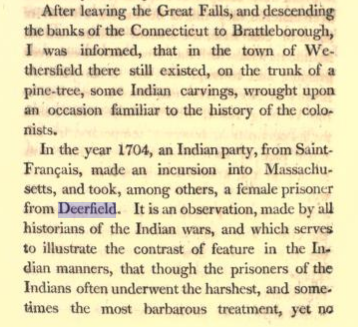 Kendall’s historical attribution of the pine carvings may be a little off too, dating it to the 1704 Deerfield raid. But that’s not something we need to disparage right now. Suffice it to note that his record is another example of awighigan encoded in landscape features. As many of you know, David Brule, president of the Nolumbeka Project, is also the coordinator of the National Park Service Battlefield Protection Program Study here in the Wissatinnewag-Peskeompskut area and helped organize this informational presentation. The session is hosted by the Battlefield Grant Advisory Board which is composed of five towns and four tribes. The Aquinnah Wampanoag, the Chaubunagungamaug Band of Nipmuck Indians, the Elnu Abenaki, and the Narragansett Indian Tribe, as well as Historical Commissioners from Montague, Greenfield, Gill, Northfield and Deerfield have been meeting monthly over the past five years, coordinating this battlefield study of the complex massacre and counter-attack in 1676 that has marked our region over the subsequent centuries. 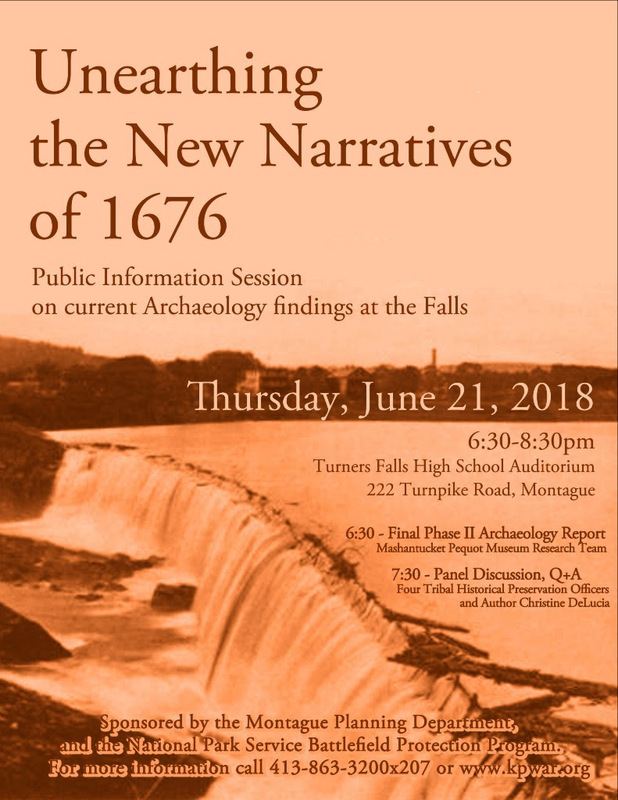 6:30 — 7:15 P.M. A power point presentation will focus on the final Phase II archaeological report of the Research Team of the Mashantucket Pequot Museum. The Team did extensive field research on the battlefield terrain stretching from Riverside through Factory Hollow and into the Nash’s Mills area of Greenfield. Their discoveries and new interpretations of the event add to the growing body of knowledge, fueling high local and regional interest in the event of May 19, 1676. 7:15 — 8:30 P.M. 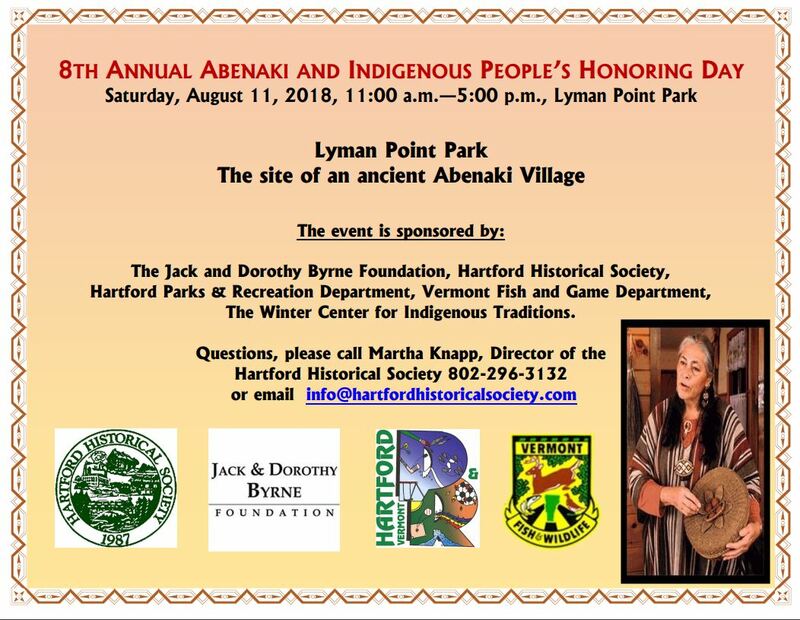 The second part of the program will feature a panel of four Tribal Historical Preservation Officers and Christine De Lucia, noted author and assistant professor of History at Mt Holyoke College. They will address the topic of “Unearthing the New Narratives of 1676” and will welcome questions and opinions from the public. preseThis Public Information Session is sponsored by the Montague Planning Department, and the National Park Service Battlefield Protection Program. For more information call 413-863-3200×207 or www.kpwar.org .